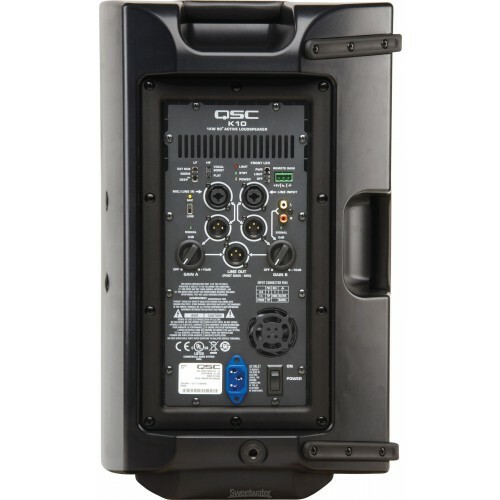 Rent the QSC K10, a 1000 Watt powered speaker with a 10" woofer from Soundhouse NYC. The K10 is ideal for small events or as a stage or DJ monitor. The smaller brother of the QSC K12, the QSC K10 delivers monstrous punch and sub bass for its compact size. 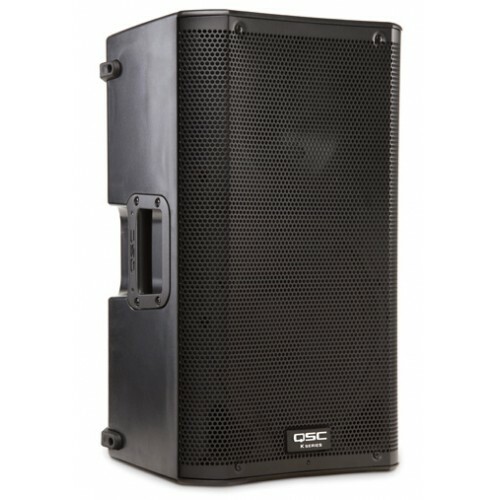 This PA speaker is an excellent choice for any PA rental - ideal as a booth monitor, stage monitor, or as main speakers for smaller events. With three different types of inputs, two seperate outputs, and "Deep" settings for heavy bass, this speaker will often eliminate the need for an external mixer. DJ's, bands and singers consistently tell us this is the best bang-for-buck audio rental in NYC.